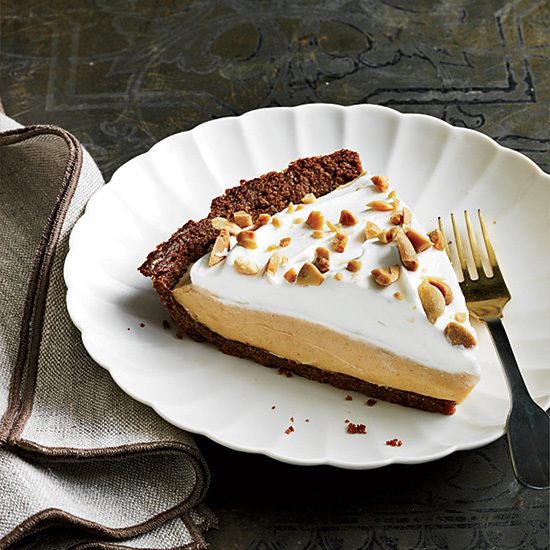 These sweet and savory peanut butter recipes include creamy peanut butter pie, spicy peanut butter sauce, crunchy peanut butter cookies and more. 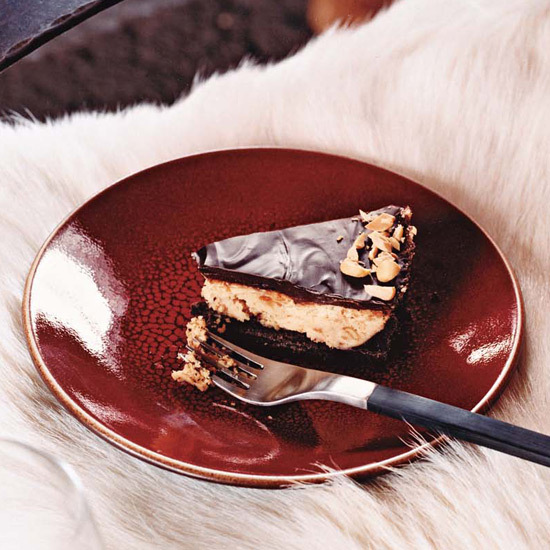 This incredibly chocolaty and creamy quick-bake pie is Vitaly Paley's grown-up version of a Reese's Peanut Butter Cup. This delicious whipped-cream-topped peanut butter pie offers the perfect balance of sweet and salty flavors. 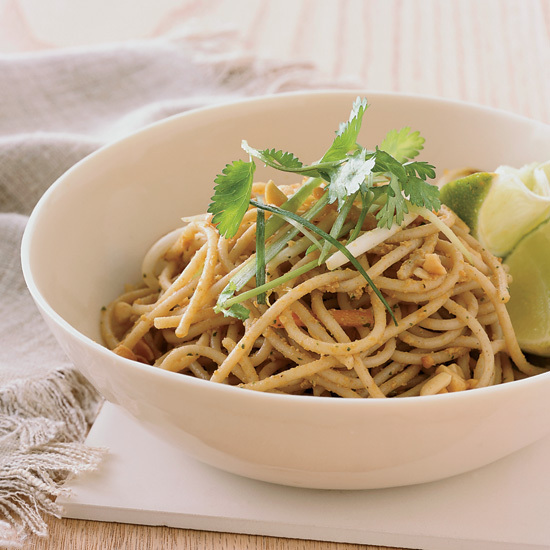 Whole-wheat spaghetti is one of Melissa Rubel Jacobson's favorite pastas because it is a good source of fiber and has an appealing chewiness. 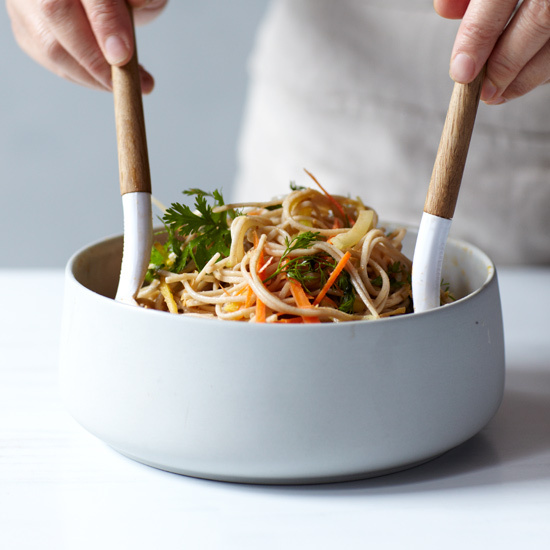 Here, she updates sesame noodles, a Chinese take-out classic, by giving the peanut sauce a hit of fiery red curry paste. 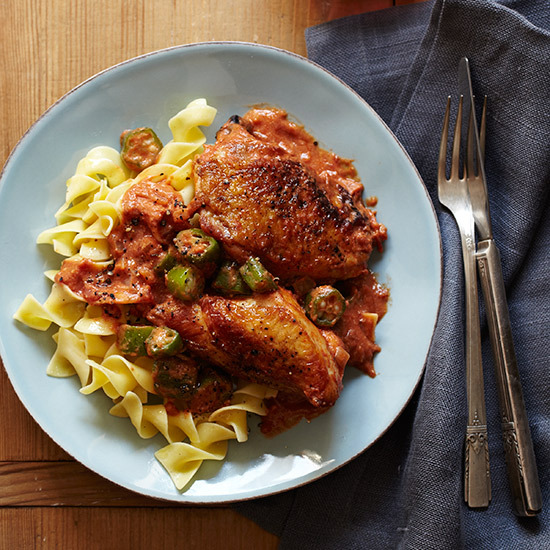 To make this deeply nut-flavored sauce, Andrew Carmellini cooks peanut butter with garlic, ginger and lemongrass, then punches it up with Sriracha hot sauce. 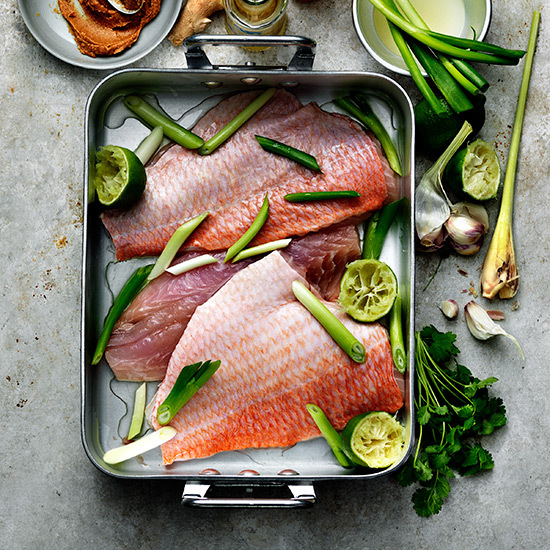 It's not the only accompaniment to the snapper, though: He also serves the fillets with the cooking juices, flavored with lime juice, peanut oil and a little pungent fish sauce. 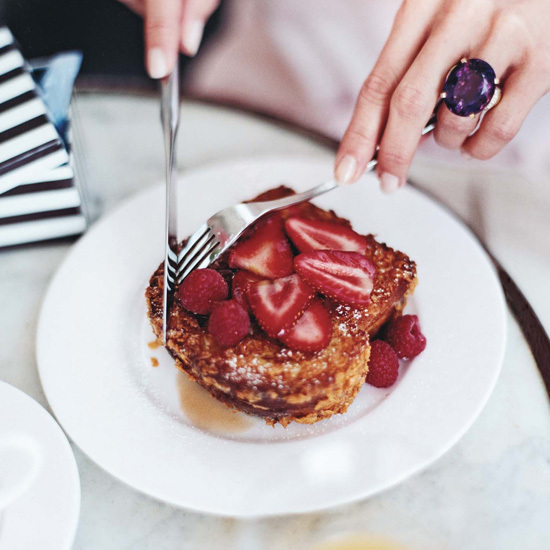 This decadent version of French toast is made with two slices of buttery brioche that are filled with creamy peanut butter, coated in crunchy cornflakes, toasted until crisp and topped with maple syrup and fresh berries. 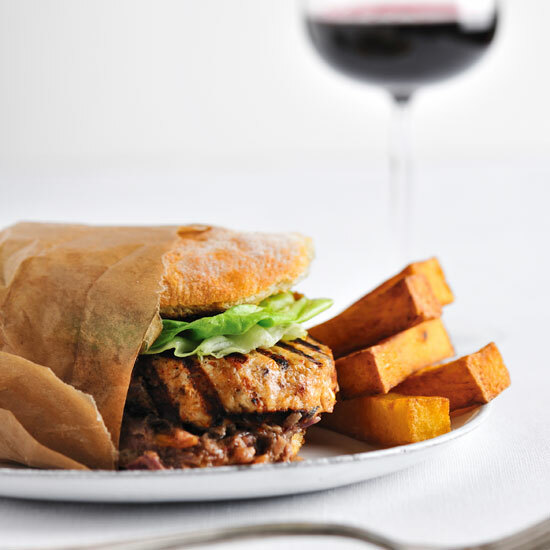 Grace Parisi adapted the recipe to make it easier and cheaper. 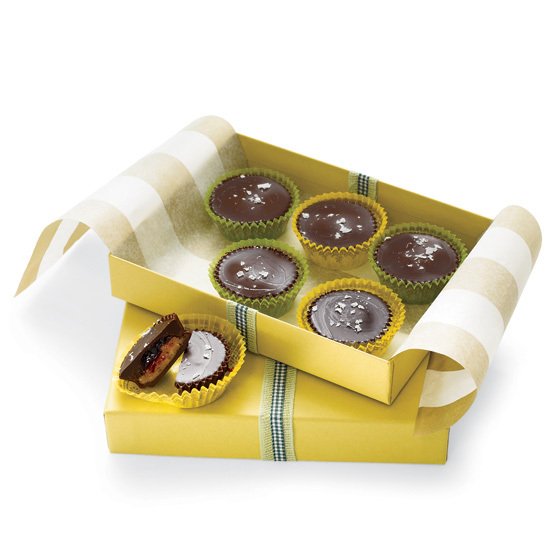 Use a fairly bitter dark chocolate to balance out the sweet, creamy peanut butter ganache filling and the tangy raspberry jam. 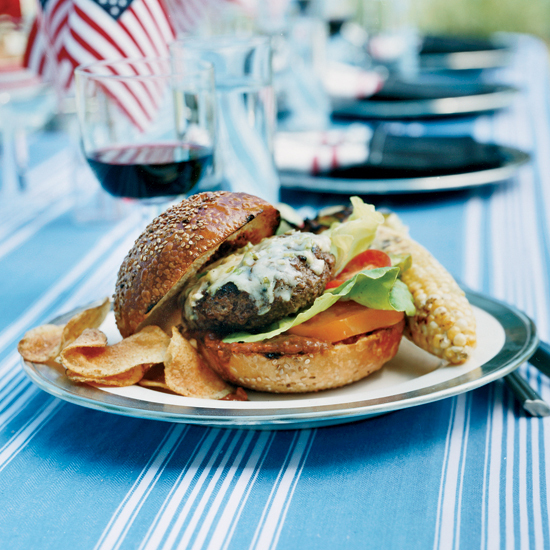 Bobby Flay makes this extremely good barbecue sauce by spiking tomato puree with two forms of smoky chile–ancho chile powder and chipotle in adobo sauce—then adding peanut butter for sweetness. The sauce takes some time to prepare, but by doubling the recipe, it can be made in one large batch and kept in the refrigerator for up to two months. 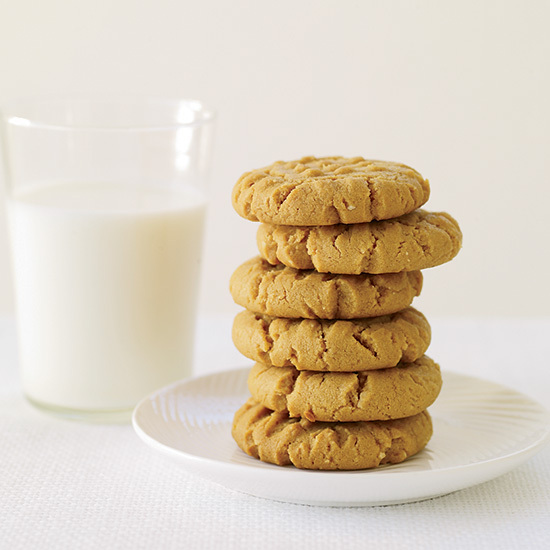 Peanut butter binds these supernutty flourless cookies from Southern cook Elizabeth Woodson, a former art director at F&W. 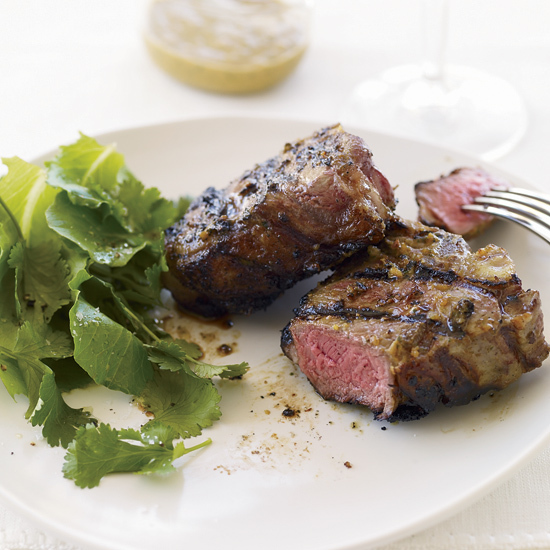 This African dish is quick and easy. Peanut butter gives the stew a rich flavor. 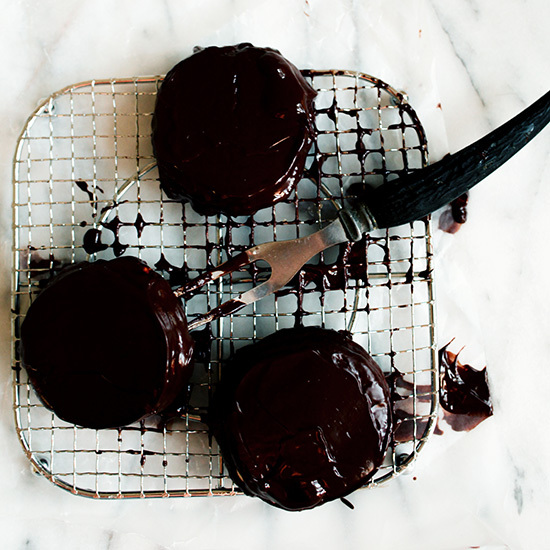 Any chocolate and peanut butter lover will adore this elegant dessert from pastry chef Rachel Lansang-Hidalgo. 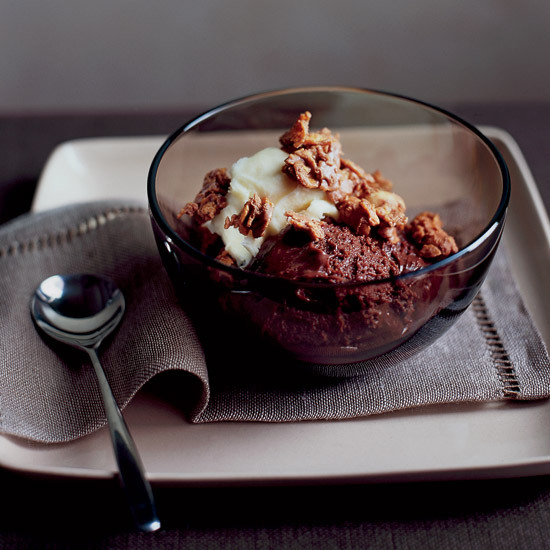 She tops a rich milk-chocolate mousse with a roasted-peanut cream and addictively crunchy cornflakes mixed with peanut butter, milk chocolate and peanuts. 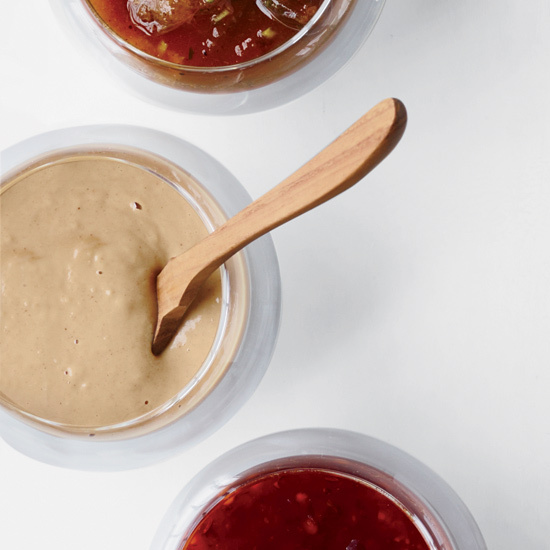 With just a few pantry ingredients and a blender, homemade peanut sauce is a snap to make. This is Sarah Simmons’s completely inauthentic take on Chinese peanut noodles. Made with soba noodles and Thai pantry staples (red curry paste, coconut milk, chile and cilantro), it’s lighter, brighter and spicier than the original. 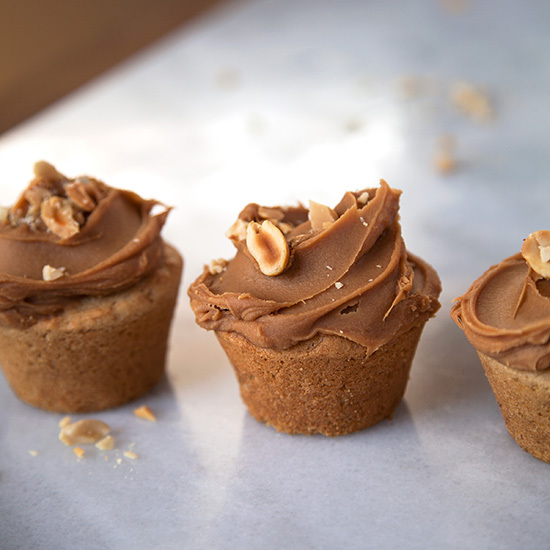 These stuffed, gluten-free cupcakes are completely over-the-top but well worth the effort. 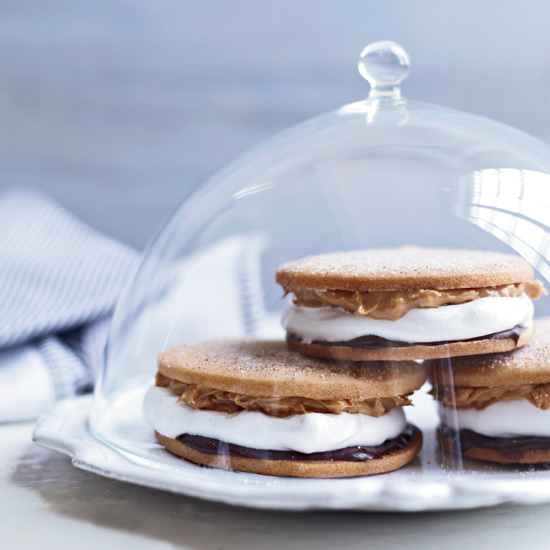 Moon pies are classic Southern cookies filled with marshmallow and coated with chocolate. Rebekah Turshen, models hers on the classic, but also on the excellently named Goo-Goo Clusters, a peanut candy invented in Nashville in 1912. 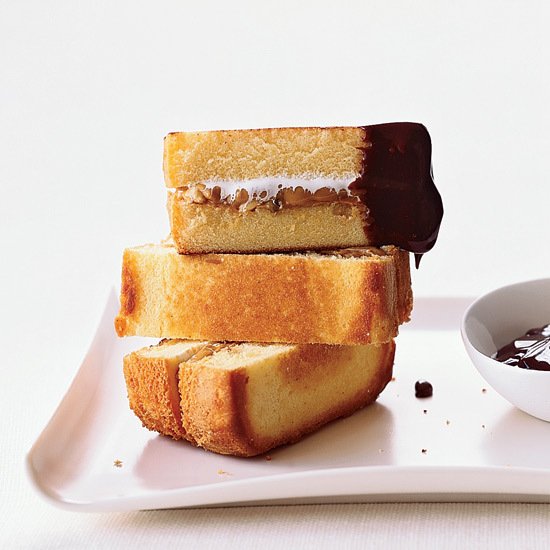 She spreads crispy sugar cookies with chocolate and peanut butter, then sandwiches them around a marshmallow filling.